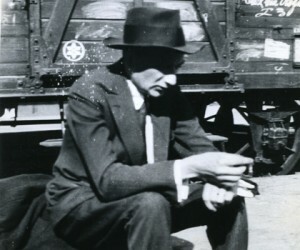 With the publication of Job, Joseph Roth’s 1930 novel about a Galician Jewish family forced to immigrate to New York, Roth’s literary reputation skyrocketed. His novel The Radetzky March, which appeared two years later, is almost universlly recognized as a classic. Yet Roth’s earlier work, in which he probingly examined the upheavals of his time—particularly the Russian revolution—have only recently been rediscovered. In the United States, a new anthology of his early reportage, The Hotel Years, has just been published by New Directions, and in Germany his newly published essays on Russia have been celebrated by critics and readers alike. Are we experiencing an international Roth Renaissance? Jan Bürger and George Prochnik will discuss one of the most important and enigmatic writers of the modern era, and provide insights into his astonishing body of work with the aid of manuscripts and letters from the Leo Baeck Institute, New York, and the German Literature Archive, Marbach. Jan Bürger is a literary scholar and author. He wrote his dissertation about Hans Henny Jahnn, belongs to the founding editors of the Berlin journal Literaturen, and has worked since 2002 at the German Literature Archive. In addition to numerous contributions to journals and newspapers (including Die Zeit and the Frankfurter Allgemeine Zeitung, he has written Der gestrandete Wal: Das maßlose Leben des Hans Henny Jahnn (2003), Benns Doppelleben oder wie man sich selbst zusammensetzt (2006), Max Frisch: Das Tagebuch (2011) and Der Neckar: Eine literarische Reise (2013). He is also the editor of a number of events including Ich bin nicht innerlich. Annäherungen an Gottfried Benn (2003), Friedrich Schiller: Dichter, Denker, Vor- und Gegenbild (2007), Liebe ist Quatsch. Briefe an Ellinor by Hans Henny Jahnn (with Sandra Hiemer, 2014) Briefwechsel by Alfred Andersch and Max Frisch (2014), as well as Reisen in die Ukraine und nach Russland by Joseph Roth (2015). George Prochnik has written for the The New York Times, The New Yorker, Bookforum and the LA Review of Books. His most recent book The Impossible Exile: Stefan Zweig at the End of the World received the National Jewish Book Award for Biography/Memoir in 2014. He is editor-at-large for Cabinet magazine. Presented by Goethe-Institut New York and featuring images from the Joseph Roth Collection at Leo Baeck Institute – New York, Berlin.